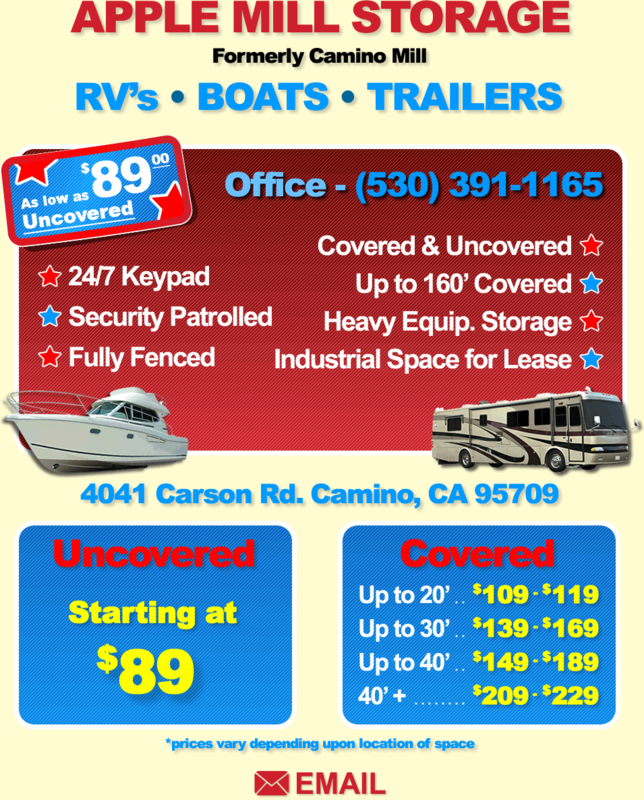 Servicing the Placerville area, we provide RV storage, boat storage, vehicle storage, and heavy equipment storage. Offering covered and uncovered storage, our grounds are security patrolled and fully fenced with a keypad entrance. Formally Camino Lumber Mill, we also have large industrial space for lease. © Copyright 2017 Apple Mill Storage. All rights reserved.